We offer a free membership program as well as paid membership programs for Christian speakers. As part of our paid programs, when you become a Pro, Expert, or VIP member, you get access to our platform building worksheets. This set of worksheets will give you inside access to our way of thinking about platform building. When we talk about platform building, a wide reach is great, but there's something else deeper that we are attempting to create for you, and that will be revealed in our paid speaker packages (and hinted at in our webinar). The 5 P's of Platform Building becomes the building blocks of our foundational system. It's also the first of our 4 modules (which are Discovery, Integration, Game-Changer, and Replication). You'll learn more about our system by joining our Pro, Expert or VIP membership package. The 5 P's of Platform Building is a transformational step that will guide the rest of your journey into building your platform, and it's an essential step if you want to build your platform in a good way. It's easy to come up with a list of reasons on why you should get tools to build your speaking platform, but it's fairly simple to come up with this list. Plus, it helps you to see why you should get a package from us. You're not a public speaker (or in the case of our packages, you're not a missionary either). You don't have the time to put into building your platform (however, if you're a speaker that doesn't have time for this, you may want to make room for it). You have too many speaking engagements and already have a large platform (however, we give you the tools you need to succeed, so if you're already succeeding, you probably use a lot of the tools we offer anyways - why not check to see if we can save you money by setting up a free consultation). You're not motivated in using tools to build your platform. You are afraid of investing in your speaking business (seriously, though, set up your free consultation - I'm sure you'll be glad you did). Now that I've given you 5 reasons not to use us, I want to let you in on a little secret - if you do qualify, we want to take clients who are READY. READY is an acronym. Check out what it stands for here. Truthfully, besides an audience, a speaker only needs a well-prepared speech. But, besides that, there are some important factors that make for a great speaker. To build an audience, you'll need to build a newsletter list. This list can be your main support base that is interested in the topic(s) that you speak about, and they will want to be the first to be informed of your speaking engagements and some information about you and what advice you have to offer. To get their information (at least their name and email address), you'll need something to attract their attention. You can give away a booklet with information about your topic(s) that you speak about. This booklet (called a lead magnet) is included in several of our packages. Another way to build your audience is doing webinars. These can be sporadic or regular webinars. A webinar is a web-based seminar that you give online (usually for free). It's a good way to build your audience, so that when you come to their city to speak, they'll be familiar with you and what you do. Most webinar software allow you to share your screen if you want to do something like a PowerPoint slideshow in the background. Usually, you have to pay monthly to get access to webinar software. It is included in several of our packages. ​Once you have an audience, it's important to constantly get your reputation monitored. This means that if your name appears somewhere on the Internet, whether in a good way or a bad way, you'll find out about it. It's important especially if someone writes a bad review about you or your speaking engagements. 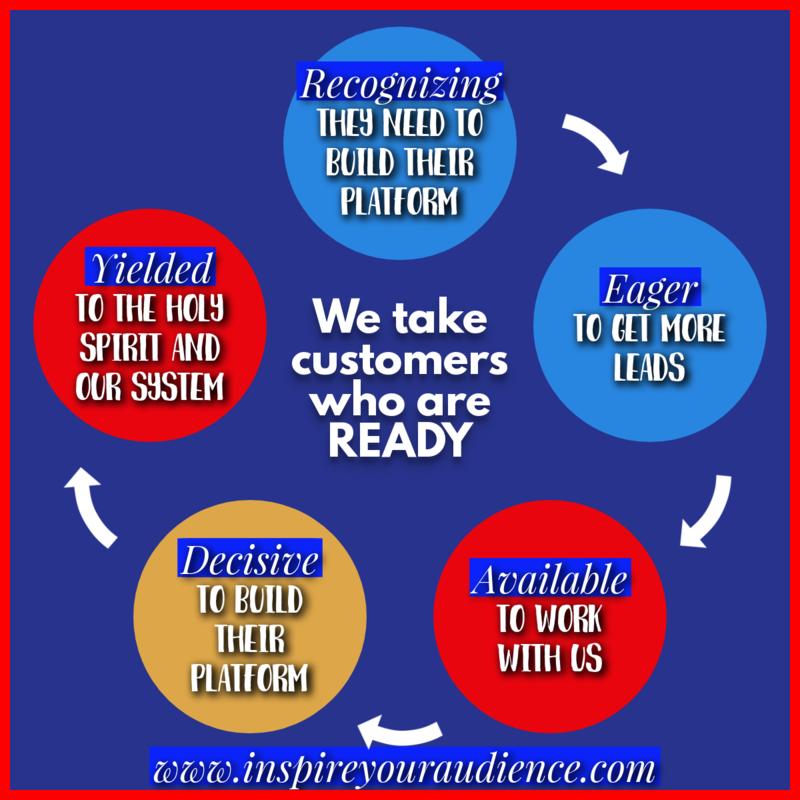 There are more benefits to joining "Inspire Your Audience" and our list of clients. If you wish, you can check out some advice that we've compiled from interviews and communication with Christian speakers. You can get that PDF here. We Would Love to Meet with You Soon!